May I introduce you to Amineko or better to the Amineko family? I first heard about it from my sister who is a real cat lover. The word "Amineko" can be a colloquial abbreviation for 'amigurumi neko' which means anthropomorphic (designed with human characteristics) stuffed cat doll. 'Ami' refers to 'knitting or crocheting'. 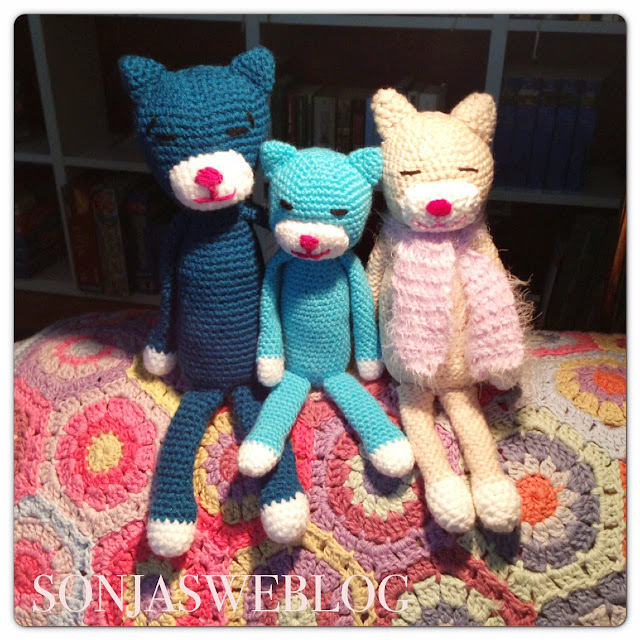 Well, my sister bought an Amineko pattern book and crocheted the beige one with scarf. 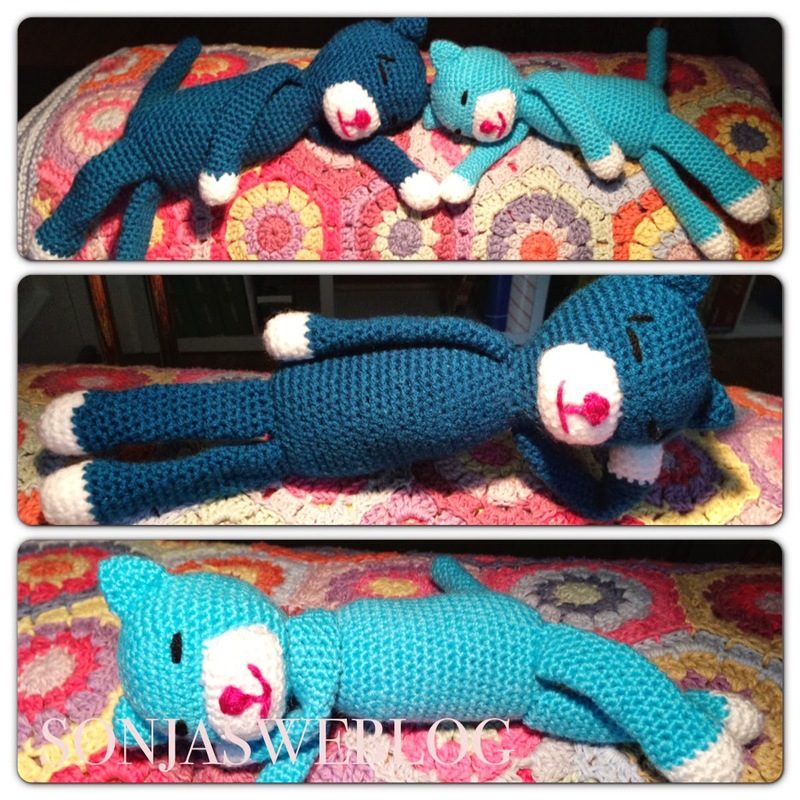 As I love amigurumis, I planend to crochet such a cat myself - and forgot about it. Then a few weeks ago I saw pictures of very cute Aminekos and wanted to do them right away. I bought some yarn (Red Heart Lisa) and a new crochet hook (3,0 mm) and searched the Internet. And how generous, the very talented Nekoyama, who wrote the pattern, has a website with an English tutorial! Thank you so much, Nekoyama!